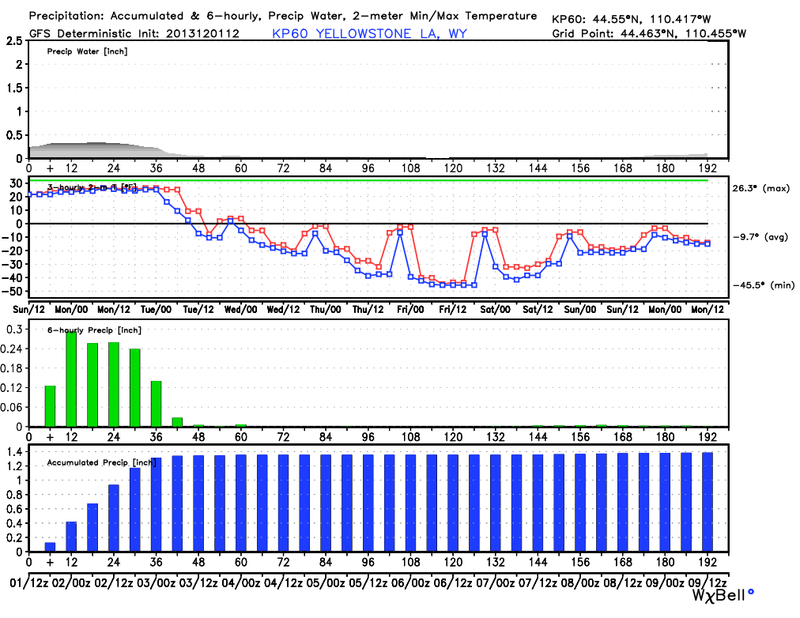 Coldest Temps Of The Season Next Week? 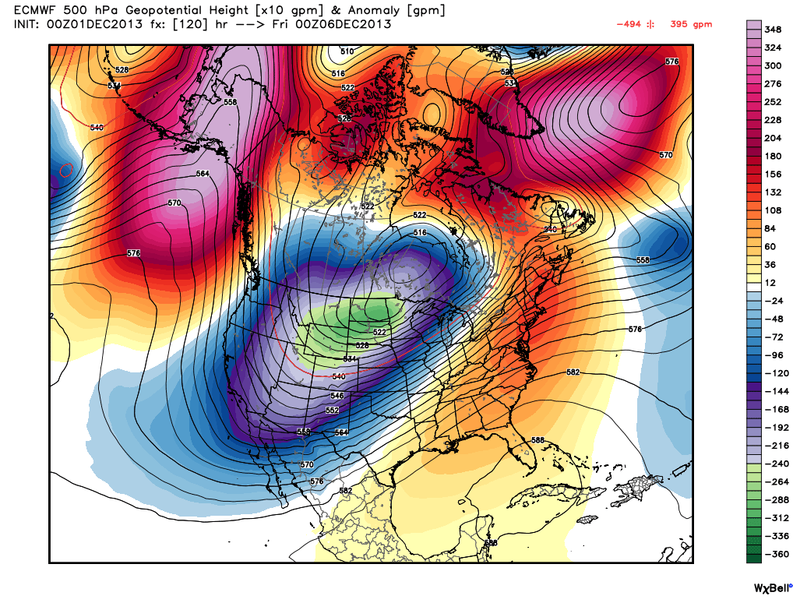 00Z/5 PM MST ECMWF 500 MB Forecast. 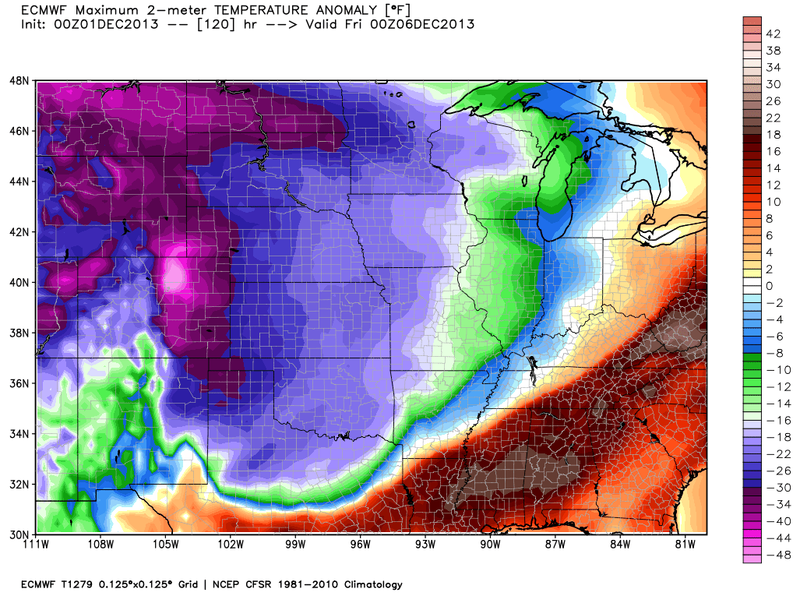 00Z/5 PM MST ECMWF 850 MB Temp Forecast. 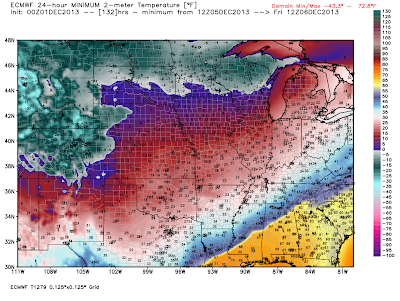 00Z/5 PM MST ECMWF 24-HR Max Temp Forecast. 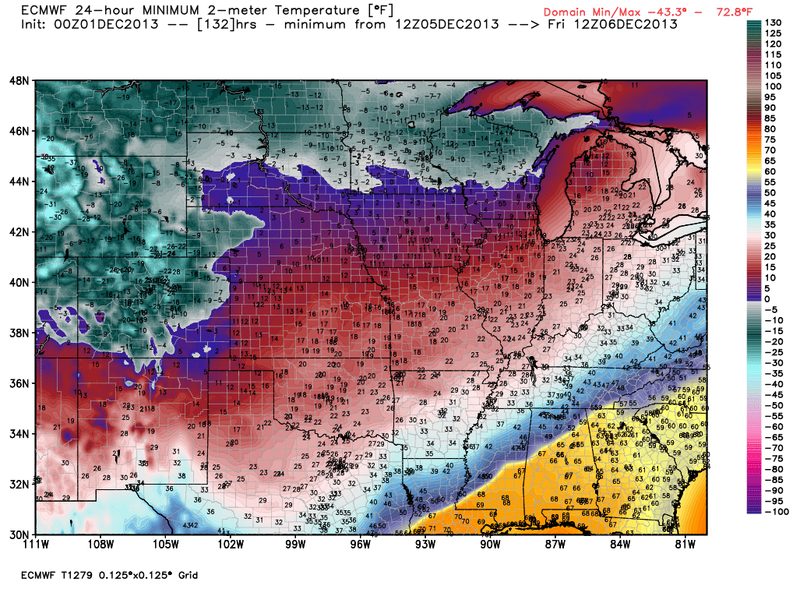 00Z/5 PM MST ECMWF 24-HR Min Temp Forecast. Valid @ 5 AM MST Friday, Dec 6, 2013. 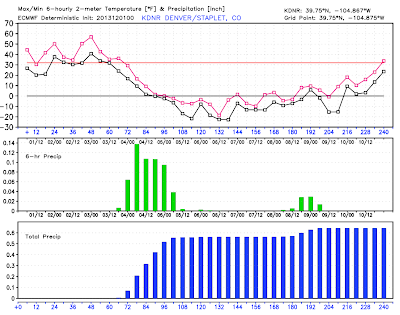 00Z/5 PM MST ECMWF Temp/Preicp Forecast For Denver, Colorado. It appears that we may be dealing with the coldest airmass of the season thus far here in southeastern New Mexico and nearby areas by the middle to the end of next week. There remains a great deal of uncertainty within the computer model forecasts concerning just how cold this next arctic outbreak will be, and on the timing of the arrival of the backdoor arctic cold front. Current thinking is that the front will arrive sometime between Wednesday and Thursday night. Last nights run of the European (ECMWF) model has Denver, Colorado dropping down below 0F by Wednesday and staying below 0F through Friday morning. Some of the European Ensemble models drop Denver down to near -20 to -30F during this time frame for their low temps! 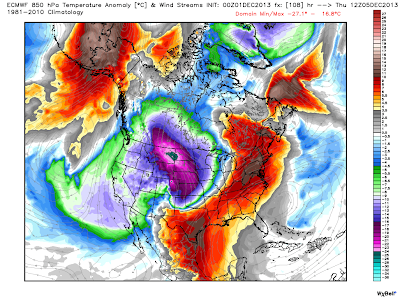 On December 6, 1972 Denver dropped down to a low temp of -17F. So its possible that this next blast of arctic air could rival that event. 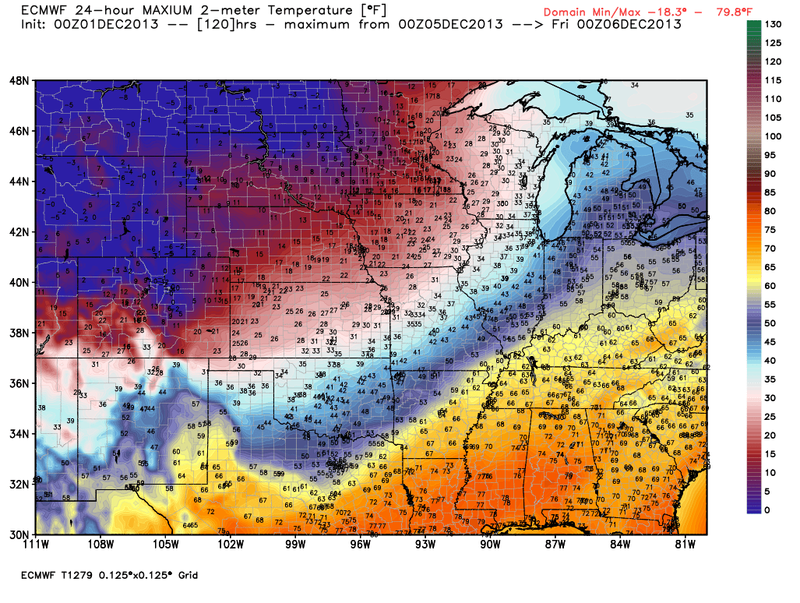 Check out this mornings forecast via the GFS model. 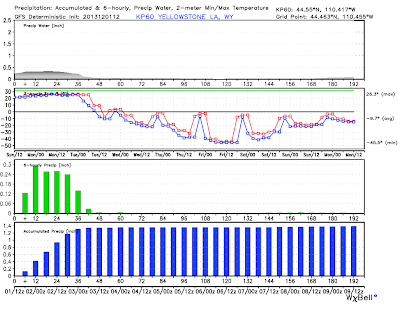 It has Yellowstone Lake, Wyoming plunging down to -46F by Friday morning! Keep in mind that the models will change over the next several days. But it appears that this next arctic outbreak has the potential to deliver the coldest temperatures of the season thus far so get ready!